Would you make a good financial analyst? Take our career test to find out how you match with this and over 800 other careers. What is the workplace of a Financial Analyst like? What are the different areas of finance that a Financial Analyst can work in? Where do Financial Analysts typically live? Is becoming a Financial Analyst a good career choice? What types of Financial Analysts are there? A financial analyst is someone who manages various aspects of other people’s money. Some analysts work as investment advisors, either on their own or with a brokerage firm. Depending on the wealth and size of their clients, they may manage portfolios worth millions of dollars. Other financial analysts work for banks or insurance companies, ensuring that even when a loan defaults or a claim is paid, the company maintains a positive cash flow. Still others specialize in mergers and acquisitions, determining the profitability of two companies combining their forces in a merger or one company buying another company in an acquisition. 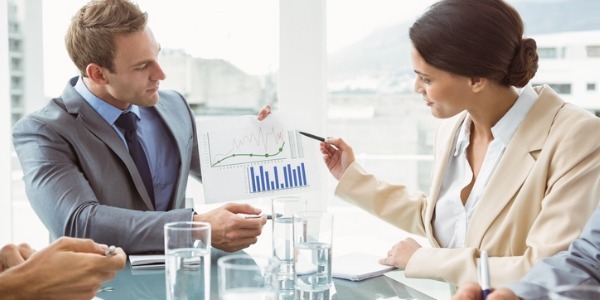 Financial analysts evaluate the financial situation in their area of expertise and generate appropriate reports, both written and oral, regarding their recommendations. They monitor and interpret available data such as industry and economic trends, forecast the current trends into probable future profitability, determine a fair market value for the sale of company stock, and recommend action to their company or investors. Some financial analysts support the growing “green" industries. These analysts may evaluate a vacant building for the feasibility of retrofitting it, or he or she may analyze the costs and benefits of including green technologies in new construction. The financial analyst may also be involved in generating venture capital for green startup companies. They may monitor and interpret climate change data or clean water data in order to calculate supply and demand, or whether or not to invest in water rights, energy futures, and other tradable commodities within the green industry. Successful financial analysts are excellent critical thinkers; they can logically determine the best course of action regarding any potential investment. They should be lifelong and active learners in order to remain current regarding market conditions and new technologies, and to be able to predict the long-term results of their investment decisions. An analyst identifies potential problems within his or her investment options and either seeks a solution to the problem or opts out of the opportunity. Excellent communication skills, combined with the ability to distill large quantities of complex data into clear, concise presentations, allow an analyst to convey his or her investment opportunities in a manner that encourages clients to sign on. An analyst is willing to take risks in order to generate profit, but he or she is also an expert in risk management and is sensitive to the acceptable risk level for his or her clients. Integrity, dependability, attention to detail, and initiative are hallmarks of a successful analyst. Financial analysis is a fast-paced, cutting-edge, and highly competitive career choice. A thorough knowledge of ones chosen field on both the macroeconomic and microeconomic level enhances an analyst's opportunities for advancement within his or her area of specialty. Virtually all analysts rely on publications such as The Wall Street Journal, The Financial Times, and The Economist as well as various electronic media in order to remain at the top of their field. Are you suited to be a financial analyst? Financial analysts have distinct personalities. They tend to be conventional individuals, which means they’re conscientious and conservative. They are logical, efficient, orderly, and organized. Some of them are also investigative, meaning they’re intellectual, introspective, and inquisitive. Does this sound like you? Take our free career test to find out if becoming a financial analyst is right for you. Most financial analysts work in an office environment. Some analysts travel to visit potential investors, potential investments, and perform hands-on evaluations that enable them to accurately decide the value and potential risk of each investment. Financial institutions and insurance industries employ the majority of analysts, usually in financial centres in North America and worldwide. Aside from the actual location of where financial analysts work, which is typically in an office environment, one should also note the different areas of finance in which they can work. These can be diverse and multi-faceted. Investment banking is the area with which most people associate financial analysts, but some financial analysts secure jobs in corporations and businesses that are not wholly centred on investment. These companies can be involved in any area of business. Financial analysts working for such businesses are there primarily to manage financial portfolios and act as advisors. For instance, they may manage budgets and advise upon the condition of the company’s finances. However, if they gauge a potential area where the corporation or business can expand or invest, they may advise the relevant personnel to carry out the appropriate expansion or investment. This is why financial analysts are an invaluable asset to businesses and corporations, and why the role of a financial analyst is an esteemed and significant one within a company. In terms of the geographical location of where financial analysts live and work, it depends on the area in which they have specialized. Corporations and businesses are located in any major city in the world, and often corporations have sites in different countries, which could offer the opportunity to travel. Investment firms, major banks and brokerages are almost always located in the main financial districts of major metropolitan cities. New York, London, Hong Kong and Singapore are some of the chief cities in which an investment financial analyst can ply their trade. A chartered financial analyst, or CFA, is someone who has passed a series of intense exams and has obtained the relevant credential from the CFA Institute, which is based in the US. If one possesses the title of being a chartered financial analyst, their prospect of attaining employment with a top investment firm will increase dramatically. 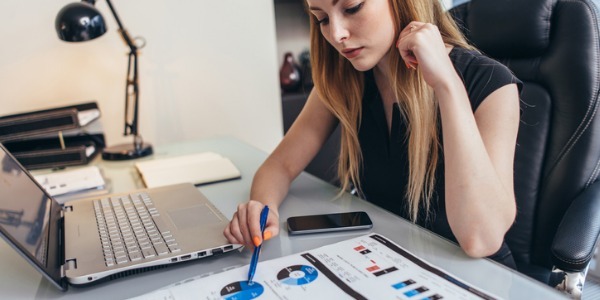 To acquire the necessary credential, or to become a charterholder, a financial analyst is required to have worked for four years in the field of financial analysis. They must pass three six-hour exams, which are notoriously difficult, even for someone with plenty of experience and relevant knowledge. If a prospective candidate is successful however, the rewards can definitely be worthwhile. The CFA Institute’s benchmark for success means that any financial analyst who has passed the exams will be held in high regard. According to their website, the CFA Institute ‘sets the standard for excellence in the industry,’ and this view is held as a truism within the realm of financial analysis. Depending on which lens through which you look, becoming a financial analyst could be an exhilarating, rewarding career choice, or it could be an arduous, gruelling career choice. Certainly, this is a good career for anyone excited by risk management, numbers and algorithms, and a fast- paced work environment. Notwithstanding, and even if you are excited by all these aspects of a career in financial analysis, you must also possess huge reserves of grit and determination to succeed. While some people may think that a financial analyst can exist somewhat in the background of an institution, deciphering numbers and producing resultant figures and charts, one should note that having excellent interpersonal skills is a huge asset. This is an especially suitable and good career if you are able to think in an elevated capacity and have acute visionary skills regarding finances and budgets, but also feel comfortable communicating these in a simple and effective manner. The financial rewards of being a financial analyst are certainly appealing, but it should not be the primary motivation for entering this career. Satisfaction, for a financial analyst who seeks a career with longevity, will come from engaging in critical thinking every work day and undertaking constant detailed analysis. There are various types of financial analysts, such as financial quantitative analysts, security analysts, investment analysts, equity research analysts, and ratings analysts. They are employed by a number of different types of organizations within any type of industry. Some places of employment can include investment banks, securities firms, insurance companies, mutual funds, pension funds, and hedge funds. Each type of financial analyst has their own set of tasks and responsibilities that they perform on a daily basis. A financial quantitative analyst provides guidance to businesses and individuals by making investment decisions, evaluating investment opportunities, and assessing the performance of stocks, bonds, and other types of investments. They explain their recommendations to clients and provide a recommendation to buy, hold, or sell a security. These types of financial analysts often make split-second trading decisions. Thus, paying attention to details when reviewing possible investments is imperative, as these details may end up having large implications for the health of an investment. A security analyst conducts research and provides valuation reports by following the performance of certain stocks, sectors, organizations, industries, or economies. Based on their fundamental and/or technical analysis, security analysts will make buy, sell, or hold investment strategy recommendations. Clients usually pay for access to these types of reports. 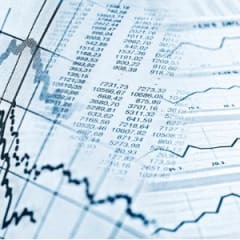 Fundamental analysis is typically done by looking at financial statements (publicly available on EDGAR - Electronic Data Gathering, Analysis, and Retrieval), filings, mergers and acquisitions, and financial publications, and technical analysis is done by looking at price trends, competitive position, and momentum. Based on their research and valuation, security analysts can also give earnings estimates for a company's future earnings per share (EPS). By coming up with quarterly or annual earnings estimates, they can then come close to giving a fair value for a company as well as a target share price by using cash flow analysis. Earnings estimates are put together to produce a consensus estimate, which would then be used as a benchmark against which a company's actual performance is assessed. When a company misses the consensus estimate, it is reported as an earning 'surprise'. Investment analysts conduct research and produce buy-sell recommendations derived from global investment data. They examine economic trends, research companies investment potentials, analyze and interpret complicated financial information, write financial research summaries, and make informed recommendations. These recommendations can be used for agents working for banks or brokerages when selling investments to the public and to their clients (the sell side of the market). Or they can be used for investment managers that work for wealth management firms, hedge funds, or pension funds that need the information so as to make informed decisions when buying and selling securities directly (the buy side of the market). An equity research analyst and an investment analyst are similar when it comes to their job duties, educational requirements and career prospects, however the two job roles are quite different. While investment analysts take a more strategic, big-picture approach to their research, equity research analysts specialize in producing accurate projections and recommendations for smaller groups of companies in specific industries. Equity research analysts work for both the buy-side and the sell-side of the securities market, reporting on the financial strength of companies. They monitor market data and news reports, produce research reports, and give accurate projections and recommendations concerning companies and stocks. Their recommendations (communicated through their research reports) provide insightful ideas for traders, institutional investors, and the general investing public. A ratings analyst gives investors a third-party assessment which is helpful as this adds an additional layer of accountability when it comes to a company's performance and transparency. By promoting corporate transparency and by holding companies accountable for their performance, ratings analysts help keep the market on its toes and serve as unbiased accountability mechanism. With both a solid amount of research and a healthy level of professional skepticism, ratings analysts give an anticipated target price on what a company's security will be in the near future. For example, if a stock is currently trading at $10 per share, and a ratings analyst gives a future target price of $25 per share (the prediction perhaps being based on global demand or improvement initiatives), an investor can then get a general idea of when to sell the stock and why.